Ohta’s outstanding talent and skill to achieve success as a woman in the scientific arena was deeply rooted in her childhood experiences and environment provided by a broad-minded father, Mamoru Harada, and mentors, Hitoshi Kihara, Ken Kojima, and Motoo Kimura. Their guidance provided Ohta with a firm foundation and credibility from which to enter her name in the major evolutionary dispute, the selectionist-neutralist controversy. Although Ohta studied on horticulture at the Agriculture Department of Japan’s top university, Tokyo University, Ohta’s hard step toward a world-class geneticist begun when she started to work at Hitoshi Kihara’s Institute in Yokohama. Using this experience as a steppingstone, Ohta received a Fullbright Scholarship to study as a Ph.D. student at North Carolina State University under the guidance of Ken Kojima. Her contemporaries at NC State at that time were: Bruce Weir and Henry Shaffer. The late Terumi Mukai was also a faculty member there. In 1967, completing her Ph.D. degree, Ohta returned to Japan and visited Motoo Kimura at Japan’s National Institute of Genetics (NIG) seeking a job opportunity there. Kimura was at the final preparation for his work on the neutral theory to present at the domestic genetics society meeting. Ohta quickly became the major work force to collect data to complete this effort. In spite of several attractive job offers over the years, Ohta spent the rest of her career at Japan’s NIG. 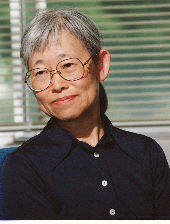 Ohta’s work in the field of molecular evolution has been recognized internationally, as attested to by her recent awards and offices. In April of 1984, Ohta became a Full Professor in the Department of Population Genetics at Japan’s National Institute of Genetics. In May of that year, she was appointed a Foreign Member of the American Academy of Arts and Sciences. In 1985, she received the Japan Academy Award and, in 1987, the Weldon Memorial Prize. Ohta became Head of Department of Population Genetics at NIG in 1988, and served as the Vice-Director of the National Institute of Genetics from 1989 to 1991. She was appointed to be Vice-President of the Evolution Society in 1993. In 2002, Ohta was selected to be a Foreign Member of the National Academy of Science of the United States, and received the “Person of Cultural Merit” from Japanese emperor in 2002. She also received special prizes as a distinguished female scholar. She was the inaugural recipient of Saruhashi Prize from the Society for the Bright Future of Women Scientists in 1981, as well as the Avon Special Prize for Women in 1986. This Profile was written by Tomoko Y. Steen. It was last updated on 9/9/2004. T. Ohta and M. Kimura, "Linkage Disequilibrium due to random genetic drift," Genetical Research 13 (1969): 47-55. T. Ohta and M. Kimura, "Development of associative overdominance through linkage disequilibrium in finite populations," Genetical Research 16 (1970): 165-177. T. Ohta, "Associative overdominance caused by linked detrimental mutations," Genetical Research 18 (1971): 277-286. T. Ohta and M. Kimura, "Linkage disequilibrium between two segregating nucleotide sites under the steady flux of mutations in a finite population," Genetics 68 (1971): 571-580. T. Ohta and M. Kimura, "On the constancy of the evolutionary rate of cistrons," Journal of Molecular Evolution 1 (1971): 18-25. T. Ohta and M. Kimura, "Functional organization of genetic material as a product of molecular evolution," Nature 233 (1971): 118-119. T. Ohta, "Evolutionary rate of cistrons and DNA divergence," Journal of Molecular Evolution 1 (1972): 150-157. T. Ohta, "Population size and rate of evolutiuon," Journal of Molecular Evolution 1 (1972); 305-314. T. Ohta, "Slightly deliterious mutant substitutions in evolution," Nature 246 (1973): 96-98. T. Ohta and M. Kimura, "A model of mutation appropriate to estimate the number of electrophoretically detectable alleles in a finite population," Genetical Research 22 (1973): 201-204. T. Ohta, "Mutational pressure as the main case of molecular evolution and polymorphism," Nature 252 (1974): 351-354. T. Ohta and M. Kimura, "Theoretical analysis of electrophoretically detectable polymorphisms: Models of very slightly deliterious mutations," American Naturalist 109 (1975): 137-145. T. Ohta and M. Kimura, "The effect of selected linked locus on heterozygosity of neutral alleles (the hitch-hicking effect)," Genetical Research 25 (1975): 313-326. T. Ohta, "Simple model for treating evolution of multigene families," Nature 263 (1976): 74-76. T. Ohta, "Role of very slight deleterious mutations in molecular evolution and polymorphism," Theoretical Population Biology 10 (1976): 254-275. T. Ohta, "Extension to the neutral mutation random drift hypothesis," in M. Kimura (ed. ), Proceedings of the Second Taniguchi International Symposium on Biophysics (1977), pp. 148-167. T. Ohta, "Theoretical population genetics of repeated genes forming multigene families," Genetics 88 (1978): 845-861. T. Ohta, "Population genetics of selfish DNA," Nature 292 (1981): 648-649. T. Ohta, "Linkage disequilibrium with the island model," Genetics 101 (1982): 139-155. T. Ohta, "On the evolution of multigene families," Theoretical Population Biology 23 (1983): 216-240. T. Ohta, "Time until fixation of a mutant belonging to a multigene family," Genetical Research 41 (1983): 47-55. T. Ohta, "Simulating evolution by gene duplication," Genetics 115 (1987): 207-213. T. Ohta, "Very slightly deleterious mutations and the molecular clock," Journal of Molecular Evolution 26 (1987): 1-7. T. Ohta, "Time for acquiring and new gene by duplication," PNAS 85 (1988): 3509-3512. T. Ohta, "Evolution by gene duplication and compensatory advantageous mutations," Genetics 120 (1988): 841-847. T. Ohta and H. Tachida, "Theoretical study of near neutrality. I. Heterozygosity and rate of mutant substitution," Genetics 126 (1990): 219-229. T. Ohta, " Multigene families and the evolution of complexity," Journal of Molecular Evolution 33 (1991): 34-41. T. Ohta, "Theoretical study of near neutrality. II. Effect of subdivided population structure with local extinction and recolonization," Genetics 130 (1992): 917-923. T. Ohta, "The nearly neutral theory of molecular evolution," Annual Review of Ecology and Systematics 23 (1992): 263-286. T. Ohta, "The meaning of natural selection revisited at the molecular level," TREE 7 (1992): 311-312. T. Ohta, "Pattern of nucleotide substitutions in growth hormone-prolactin gene family: A paradigm for evolution by gene duplication," Genetics 134 (1993): 1271-1276. T. Ohta, "On hypervariability at the reactive center of proteolytic enzymes and their inhibitors," Journal of Molecular Evolution 39 (1994): 614-619. T. Ohta, "Synonymous and nonsynonymous substitutions in mammalian genes and the nearly neutral theory," Journal of Molecular Evolution 40 (1995): 56-63. T. Ohta and John Gillespie, "Development of Neutral and Nearly Neutral Theories," Theoretical Population Genetics 49 (1996): 128-142. T. Ohta, "More on the Neutralist-Selectionist Debate," Bioessays (1997): 359-360. T. Ohta, "Motoo Kimura," Annual Review of Genetics, 30 (1997): 1-5.